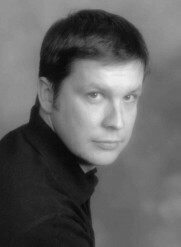 In this short story, Martin Warwick is a down on his luck racecar driver. His only accolade is to make the other drivers look good with his mediocre performances. It’s not that Martin is a bad driver. He’s just not had the breaks. He needs a better sponsor which would get him a better car and a little luck to put him ahead of the pack. The break comes in the form of the mysterious Mallory. He doesn’t have money or connections. He has a device to make Martin and any car he drives better. When your hopes and dreams are just outside of your grasp, you’re willing to do anything, regardless of the consequences. Martin is about to find out what the price of fame really costs—and he’s willing to pay it gladly. 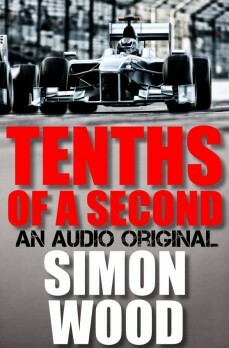 TENTHS OF A SECOND is an audio original story, now available as an ebook. A tenth of a second is an insignificant speck of time. By the time you’ve imagined how long that is, it’s raced by, chased by many of its brothers and sisters. But to racecar drivers like us, a tenth of a second is a lifetime. Each one is a lead weight on our shoulders, slowing us down, dragging us back. A tenth of a second can mean the difference between success and failure. But you don’t need to hear something that both of us already know. What you need to hear is what I’ve got to tell you. It’s taken me a long time to track you down. Please do me the courtesy of not hitting the stop button before I’ve had my chance to speak my piece. It won’t take long, I promise. You need to hear my story to make a decision about yours. Early on in my racing career, I’d been carrying far too many tenths of a second on my back. My lap times were pushing me further down the field. My sponsors noticed. They didn’t say anything of course, but they didn’t have to. The forced smiles spoke volumes, as did the poorly disguised meetings with other drivers in the paddock. Suddenly, my burgeoning career was disappearing before it began. Without sponsorship, I’d have to retire. At age twenty-two, no less. My poor form had little to do with lack of talent. I mean, I knew I would never be a world champion—those guys are one in a million. You just know they are going to make it all the way. But me, I had the goods to make a career in racing. I could see myself in sports cars or touring cars, but if I didn’t get a change in fortune and quick, I wasn’t even going to make it to the next race. Like I say, talent wasn’t my problem, it was money. My sponsors gave me enough to survive, but not enough to thrive. See, that’s the problem with racing, it’s all about evolution. A chassis is good for a season and an engine for only a handful of races. I needed either a major cash injection or access to ‘works’ engines kept for the winning drivers. But that wasn’t going to happen unless my fortunes changed. The announcement had just come over the PA that the Formula Fords were due in the paddock. My team, consisting of my best friend, Andy, and his brother, Barry, fussed with the car, retorquing the wheels and warming the engine while I adjusted the seatbelts. “That’s what it says on my race suit,” I said and tapped my nametag. I could have been more pleasant, but I clam up when it gets to race time. I need time to focus. If this guy was talking money, then yes. But the paddock is open to the public and a lot of armchair know-it-alls bug drivers with their harebrained schemes. So this guy’s offer failed to light a fire under my arse. Yes, I would be interested–sort of. Development meant untried and untested. That meant mechanical failures and that could be just as bad for my career. There’s nothing worse than being a fully funded driver and still not making it to the finish line. If I’d been getting top five finishes I might have told the guy no sale, but I hadn’t been. The stewards placed a second call over the PA for cars and drivers to proceed to the assembly area. “Of course.” Mallory smiled and walked away. I cursed myself immediately. I should have offered him a pit pass and told him to hang out with us. The last thing I needed was him wandering off and talking with someone else. But I couldn’t let it distract me now. I got my helmet and gloves on and belted myself into the cockpit. The race proved to be less than a showcase of my talents. I made up a couple of positions courtesy of drivers planting their cars in the gravel traps, but my race laps were slower than my practice laps. The engine had had it. It needed a total rebuild now, but with no money and three races to go before the end of the season, no chance. After that performance, I was surprised to see Mallory waiting next to my team van. He helped me out of the cramped cockpit and took my helmet. “You did well,” he said. I needed more than an edge. I needed a miracle. We settled into the circuit’s restaurant with two coffees that I bought. “You mentioned a developmental management system you’d like to try,” I said. Mallory had failed to produce any credentials to show he worked for anyone in the industry and I needed to know he was genuine, so I asked an ugly question, knowing full well that it might push him away. “Yes,” Mallory replied with conviction. That quashed my sarcasm. Mallory really believed his management system would make a significant difference. It was there in his eyes. They gleamed with anticipation. He wanted to test it out and reap the rewards and I could join him. When you’re down on your luck, it’s easy to be skeptical. But Mallory’s conviction was contagious. My disappointment turned to excitement. I had enough money for the next race, but not to test. If he paid the testing fee, I’d do it. Mallory agreed. He pulled out a contract. It was confidentiality thing. Once I signed the contract I had to keep my mouth shut. If the product became viable, I’d receive a five percent dividend based on profits. That was pie in sky stuff, but it was nice to have. The only weird part was that besides my car, I had to hand myself over to Mallory as well. Essentially, I became part of the project. I didn’t see how that worked, but accepted the point as a legal technicality. Satisfied with the legalese, I signed and Mallory countersigned. We got the guy behind the counter to witness our signatures. It hardly possessed the hallmarks of a landmark deal, but it was good enough for me. Mallory pumped my hand vigorously. “You won’t regret this,” he said and left after giving me my first instructions.